It is with great sadness that we announce the death of Danielle Richard, the Arts & Culture editor of Bandersnatch. Her death was unexpected and tragic. Danielle’s mother reportedly saw her in their backyard around 11 PM on the night of the 18th, eating carrots and drinking almond milk which were her favourite snacks. She was waiting for the sky to clear up so she could observe the night sky for her astronomy project. 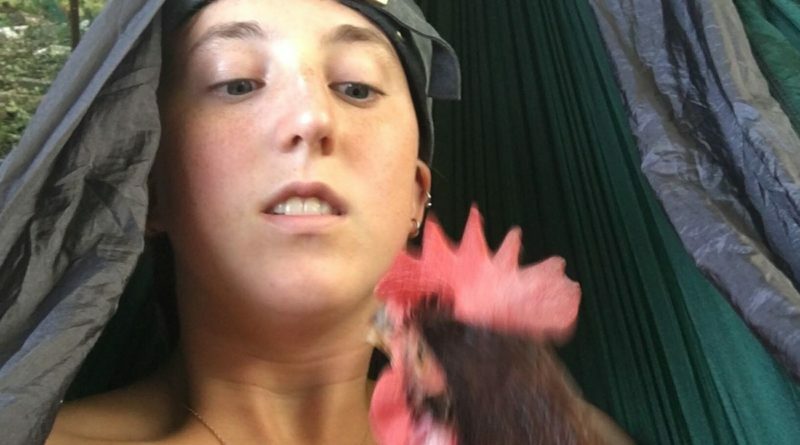 That is when she noticed that her pet chicken, Esther, was missing and she began to frantically look for her. She received a text message from Virginia, the Science & Tech editor, about her chicken’s whereabouts a little while later. The chicken was at the Pincourt bowling alley. She got in her car and soon found herself there. At the sight of Esther, Dani ran across the alley, not paying attention to her other friend Robert who was about to throw the ball, thus making him miss an important throw. According to authorities, Robert threw the ball in anger, but forgetting it was the lightest one, it bounced off the grow and hit Dani, making her fall on her head which killed her instantly. The authorities are continuing the investigation to see if the incident was truly an accident (what was the chicken doing in the bowling alley?). The funeral will be held on November 22nd in H-016, the Bandersnatch clubroom where she spent countless hours studying Chemistry of the Environment and ESS with her carrots. She will be dearly missed as she had always been the one to provide moral support and positive energy for everyone in Bandersnatch and others.